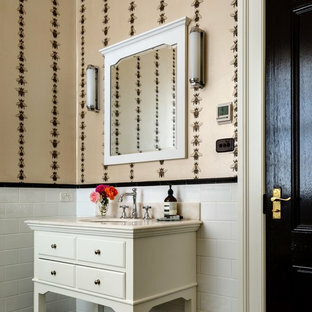 Think of your powder room as a small bathroom that’s always on display. 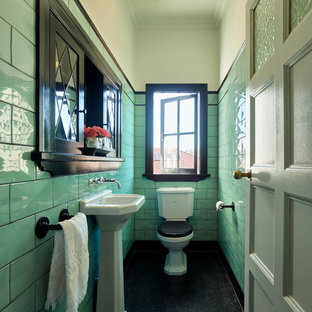 Likely to be frequented by guests or used as a second bathroom by family members, it should always look its best. Consisting of little more than a vanity, toilet and sink, you could be mistaken that powder room designs are easy to execute, but the tight space can be tricky to get right. 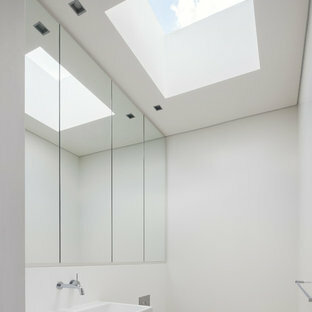 As you plan your bathroom renovation, consider the following. What’s the best way to collate small bathroom ideas? 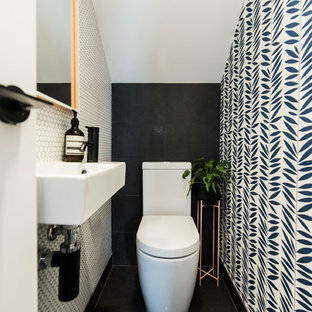 Browse the photos on Houzz for small bathroom designs, and get acquainted with the specialist behind your favourite picks. You can bookmark and share your favourite photos with everyone involved in your renovation, and click through to Related Photos to broaden your scope. 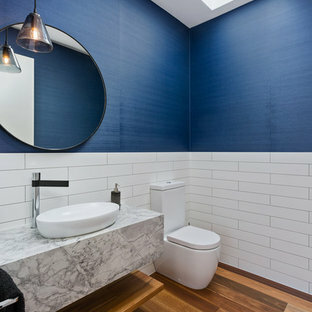 For even more powder room and small bathroom ideas, check out the Stories section on Houzz. How do I plan the layout of my powder room? 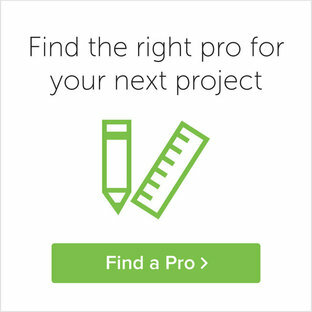 If you're building from scratch, an architect may be the best person to ask. 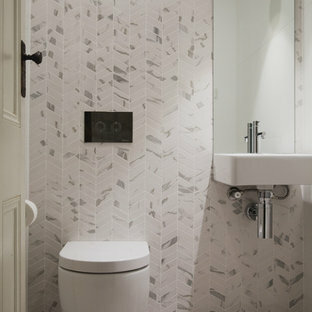 There are three main objects to consider when planning the layout of your powder room: the door, toilet and sink. Pocket, sliding or folding doors will give you more options for toilet and sink placement, while wall-mounted toilets will help save you a few inches of floor space, and make the room feel more spacious. To ensure ease of use, make sure the toilet has at least 38 centimetres of unobstructed space on either side, and 61 centimetres at the front. 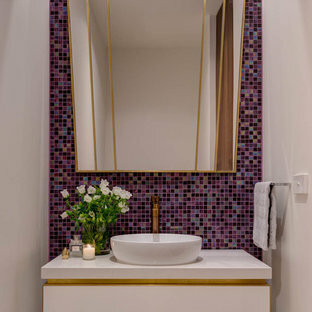 Powder rooms are primarily a place to use the toilet and quickly wash your hands, so unless you have the square meterage, you don’t need a full-blown vanity. Look for compact options, like a pedestal or wall-mounted sink instead. What materials should I use in my powder room? There’s not much space to work with when designing a powder room, so keep your design fairly simple. Otherwise, too many different patterns and textures will quickly overwhelm the space. To avoid a disjointed design, opt for one statement piece or element, such as a fun splashback, benchtop or vanity, and choose subtle materials like stone, marble or granite for everything else. If you fear you haven’t created enough visual interest, fill the void with bathroom accessories such as hand towels and soap dispensers. High-quality bathroom fixtures – including everything from your toilet roll holder to faucet – with matching lines and style, will make a big difference in a such a small space, so if you have the budget, splurge a little! 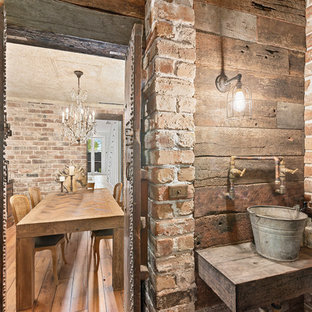 The combined powder and laundry features FSC timber cabinetry and the same timber panelling and recycled brick walls as seen throughout the home. The 'green switch', pictured here next to the surfboard, can be used to switch off all power to the home (except for the fridge) reducing the impact of electromagnetic frequencies at night. Photo by Dan Hocking.